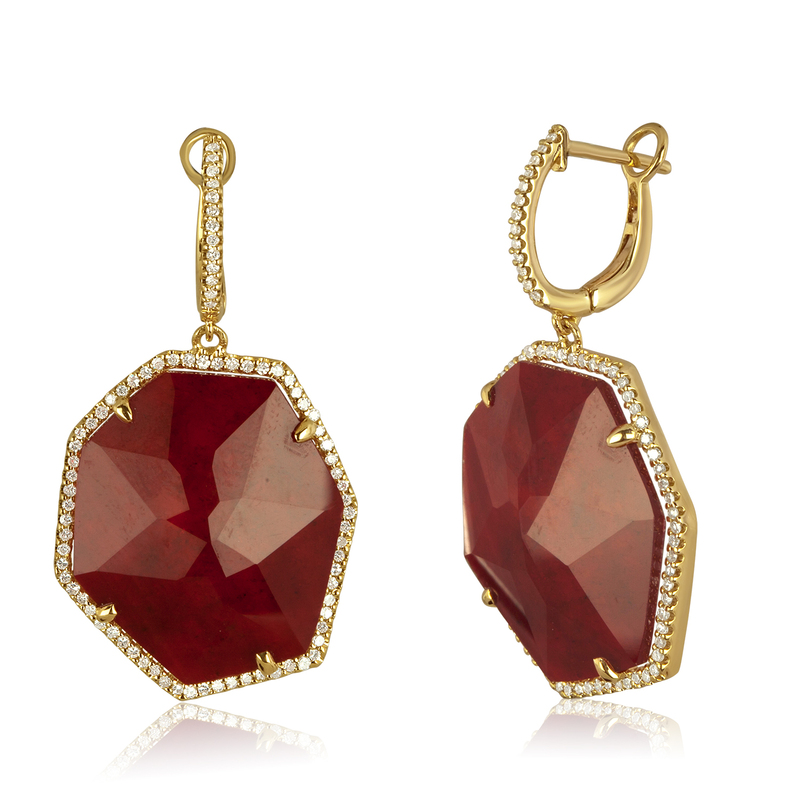 Categories: Earrings, Gemstone Earrings, Gold Carat, Gold Color, Red, Ruby, Yellow gold. 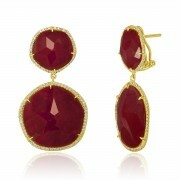 Tag: sliced ruby earrings. The slices are set in 14K Yellow Gold and surrounded by Diamonds. 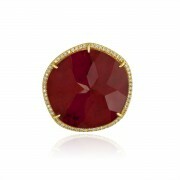 Sliced to display natural variations in character, ruby slice is topped with clear faceted rock crystal. The ring measures 1″ in diameter. The ring is size 7.25, sizable.